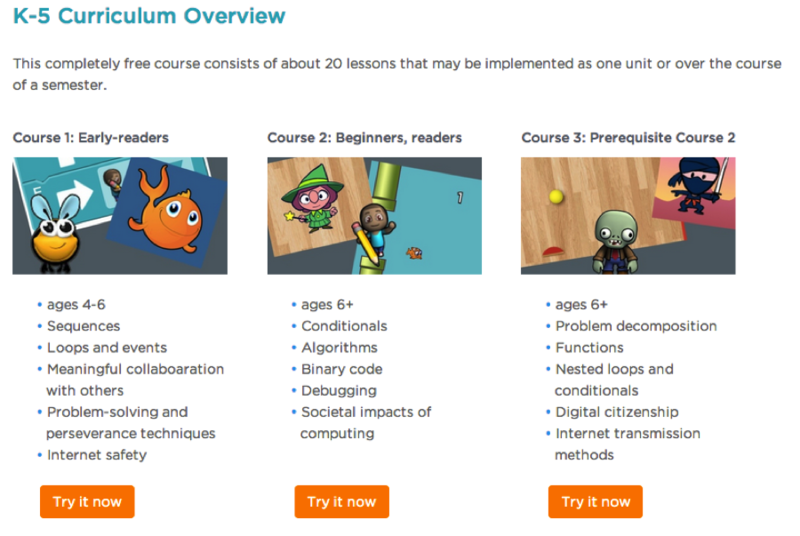 Code.org has developed an elementary school curriculum that allows even the youngest students to explore the limitless world of computing- at no cost for schools. 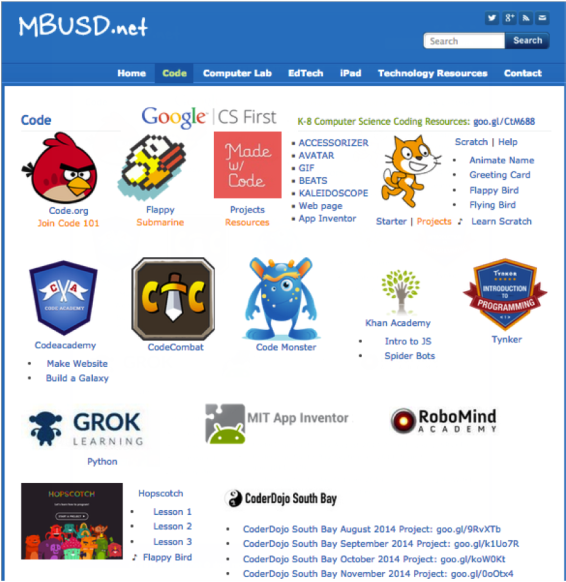 The courses blend online, self-guided and self-paced tutorials with “unplugged”activities that require no computer at all. Each course consists of about 20 lessons that may be implemented as one unit or over the course of a semester. Even kindergarten-aged pre-readers can participate.